Brain and nerve cells develop most rapidly in the first 1,000 days of life of the Little One, also known as the golden period. Therefore, parents should ensure that their nutritional requirements are always fulfilled with the correnct nutrients. Not only during the golden period, nutritious food should also be provided when the Little One enters school age, as their brain development sharply increases during this period. The provision of appropriate nutrition can support the brain function, memory, and concentration of the child. Choline is one of the nutrients in the vitamin B group that is beneficial for brain function. Choline plays an important role in memory formation of the Little One, as it is one of the essential components in the formation of cellular envelopes. In addition, choline also plays an important role since fetal brain formation in the womb, which may influence the ability of the Little One to learn and store memory in the future. Because of its function, choline is often referred to as the “memory vitamin”. Serving food that is rich in choline is not difficult. Choline is abundant in various types of food, including egg yolk, soy beans, wheat, beef, chicken, liver, cauliflower, milk, nuts, potatoes, and tomatoes. One egg yolk contains approximately 112 mg of choline and 2 tablespoons of peanut butter contain 20 mg of choline. The foodforthebrain.org website reports that 60 percent of brain matter is made up of fat. So, do not be surprised if a certain type of fat deficiency can negatively impact the intelligence and behaviour of the Little One. What are the types of fatty acids required by the brain to function optimally? Essential fatty acids are fatty acids that can not be produced in the body, and therefore can obly be obtained from food and supplements. These fatty acids have important functions in the growth of nerve and brain cells. There are two types of essential fatty acids, which are omega-6 (linoleic acid) and omega-3 (linolenic acid). Omega-6 is present in vegetable oils, such as corn oil, soy bean oil, sunflower seed oil, as well as nuts and seeds. 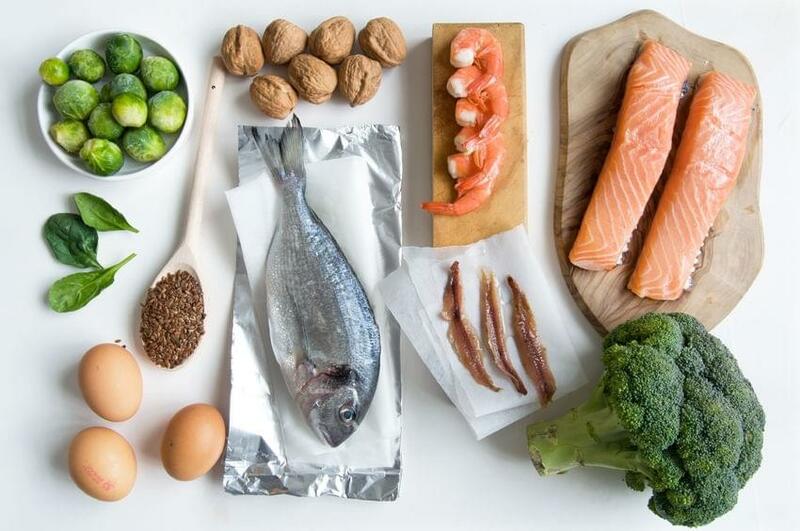 Meanwhile, omega-3 consists of three types of fatty acids, which are alpha-linolenic acid (ALA), docosahexanoic acid (DHA), and eicosapentaenoic acid (APA). ALA is abundant in plants, such as linseeds, walnuts, and soy beans. On the other hand, DHA and EPA are primarily present in saltwater fish such as salmons, mackerels, and sardines. For pregnant women, omega-3 plays a role in fetal development and their nutritional requirements. The consumption of essential fatty acids by pregnant women will impact the body weight and leght of the fetus. Deficiencies in essential fatty acids at the initial stages of pregnancy can disrupt placental development and may lead to a disturbance in fetal nerve development. Iron is an important mineral that can help children to always be energized and concentrate in school. Iron deficiency is known to be a cause of decreased cognitive function, language abilities, and motor development in children. This is why parents should ensure to fulfil the iron requirement of the Little One by serving beef, liver, black beans, tomatoes, paprika, spinach, broccoli, and strawberries. Apparently, serving food to boost the intelligence of the Little One is not as difficult as we think. There are various types of food that are rich in nutrients required for brain development that can be prepared. Do not miss the important periods for the growth of the Little One, as this period will not be repeated again. 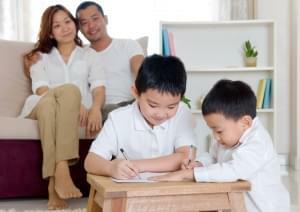 Is It True That The Oldest Child Is The Smartest Compared To His Brothers? Maybe while reading the title of this article, Mommy who is the eldest son in the family is smiling happily.